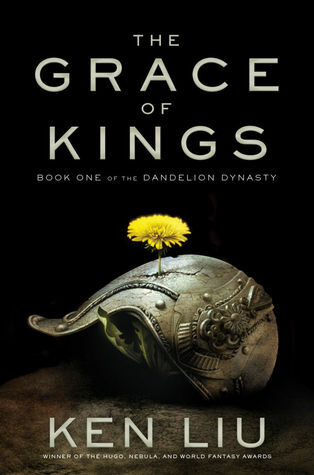 My review of The Grace of Kings, by Ken Liu, is now up at Skiffy and Fanty. “My expectations were high after learning about Ken Liu’s debut novel, and I wasn’t disappointed. The Grace of Kings is both spectacular and significant, an approach to epic fantasy that combines some of the best elements of the established genre with Liu’s unique sentiments and voice. I’ve been trying to avoid reviews before writing this up, but judging from the headlines, I’m not alone in excitement and appreciation. 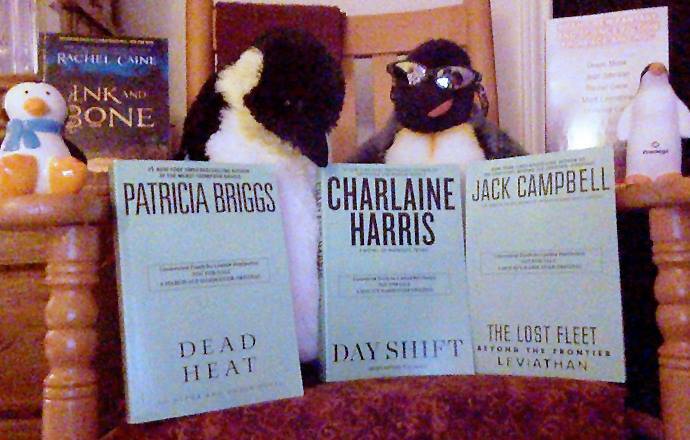 Read the rest of the review at Skiffy and Fanty! 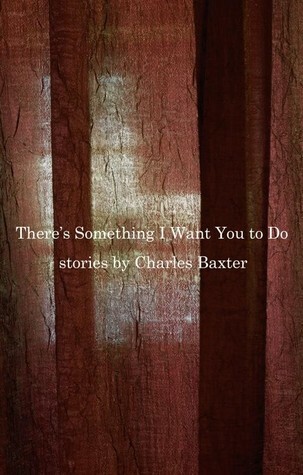 I absolutely loved this short collection of interconnected short stories that are broken down into two sections: virtues and vices, five each. The stories are linked by shared characters where secondary characters in one pop up in another. Though one in particular seemed to appear most frequently, each story does have a unique point of view, and voice. The stories are character driven, ‘literary’ takes that highlight different relationships and the qualities that underlie, define them. The stories may each feature one key virtue/vice that gives it name, but others can be seen underlying, sometimes in those secondary characters that then come to the fore in the story where they serve as protagonist. Aside from exploring these qualities of virtue or vice, the structure that Baxter employs serves well to humanize all of his characters. In one story a character’s actions may be rather incomprehensible, eliciting judgement from the protagonist and the reader perhaps. But then you walk in their shoes, and perhaps feel a little different. Perhaps that character you thought seemed so virtuous has a bit of a vice. Delightfully written and not remotely pretentious, these stories accomplish that role of literary character development, eliciting human empathy, wonderfully well. Disclaimer: I received a free copy of this from Pantheon via Edelweiss in exchange for an honest review. This mystery novel, more accurately perhaps a police procedural novel with a strong sense of setting is filled with fascinating parts, but unfortunately the sum of these together doesn’t add up to much, none of them are explored to their potential. Set in the former colony, and now département of France, Guadeloupe, this is the second book featuring character Anne Marie Laveaud, an investigating juge of French-Algerian descent. I haven’t read the first book featuring Laveaud, which I am sure covers some of the family and professional details that form a part of this book. That previous book seems unnecessary for following the plot here, or appreciating Laveaud. 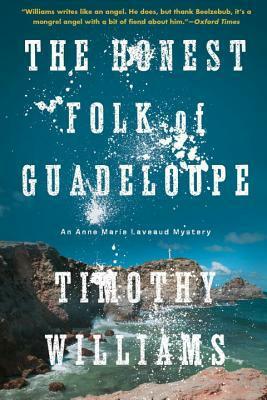 However reading that prior book may make some of the side plots in The Honest Folk of Guadeloupe a little more complete. 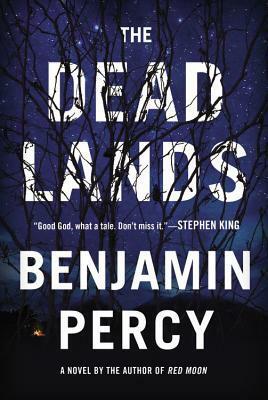 In this novel, Laveaud is investigating a pair of deaths in 1990. One is a supposed suicide of a prominent businessman, a case with apparent political ties that leads Laveaud’s superiors to try and push her away from looking into it. Instead they want her to look into the other death, the murder of a young woman, a presumed white tourist, due to its potential ramifications on the tourist industry of the small islands of Guadeloupe. The title of the novel comes from a common local saying regarding the relationship between Guadeloupe and Martinique, Guadeloupe being more rustic and ‘working class’ in a way (honest folk), compared to the fancier, more well-to-do ‘gentlemen’ of Martinique. Class differences come into play with each of the deaths that Laveaud investigates. And with the second, the murder of the young woman, issues of race and colonialism also rear their heads. As a woman born with connections to the French colony of Algeria, Laveaud is familiar with these issues, but doesn’t allow them to interfere with her simple, constant search for the truth. Williams writing here is question-laden, as so much of the story is related, and moves forward through the simple barrage of queries to potential witnesses and sources by Laveaud. For fans of procedural detail over action or keen danger this could be welcome, but for readers who go for other types of mystery genre tales, they may find the conversation and subtleties to be dull. Most of the novel passes from conversation to conversation with brief moments of descriptive passages either highlighting local flavors of the islands, or biographical details on Laveaud. For me the largest difficulty lies in the fact that none of the elements at play here felt fully explored, or properly linked together. I was attracted to this largely due to my interest in things French, and of French colonialism (and just generally enjoying mysteries). But the racial and colonial issues at heart here are background decor, there is not much serious reflection or exploration of the issues. When one brief incident involving a standoff and attack by a dangerous man is used to provide tension and further sociopolitical relevance, it ends up being an aside, not linked integrally with the plot. Another element present in The Honest Folk of Guadeloupe is the family life of Laveaud, who is dealing with separation from her husband and caring for the children as a single parent, when one of them is becoming increasingly rebellious. This personal part of the plot (as well as interesting personality conflicts/rapports with colleagues) never reach any sort of conclusion, and I can only guess that they form a continuous background plot that would develop throughout multiple books of the series. Within the confines of this novel though they are unresolved and seem completely irrelevant, again an issue running parallel to the story, but not a key part of it. Fans of police procedurals in general and those with an interest in this particular setting would find the most interest in this novel, and even then I’d only recommend delving in if open to following the entire series. 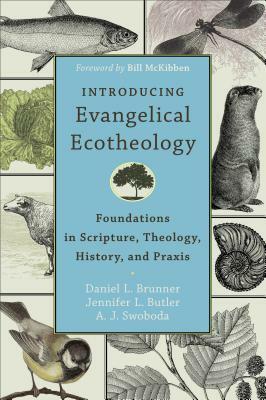 Disclaimer: I received a free advanced reading copy of this from Soho Press via the Goodreads’ First-Reads Giveaway Program in exchange for an honest review. 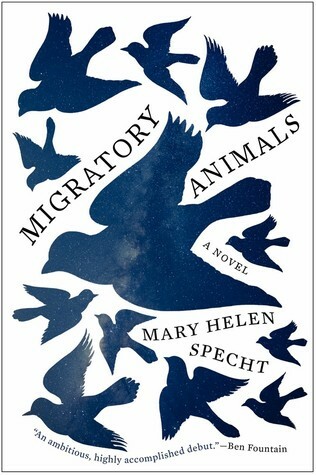 About deep relationships that stretch across time and space, Migratory Animals is about the process of leaving home and returning, and more generally coming back to the familiar and strong personal ties after periods separate. This theme revolves around a group of friends who grew close during college, shuffled around, and are now drawn all back together by circumstances. With chapters alternating between the points of views of each friend, the predominant and central point is Flannery, a climatologist who has lived the prior years in Nigeria, a spot she now begins see as another home. Flannery returns home to Austin, Texas, where her sister Molly has begun to show signs of Huntington’s disease, an inherited affliction that slowly killed their mother. Left behind by Flannery in Nigeria is her research position and a new fiancé. Flannery is thus burdened both by the uncertainty of her sister’s health and of when she will be able to return to her life in Africa. Migratory Animals delves into the network of relationships and uncertain futures that surround all of these friends, as they are each challenged by the particulars of the present and the memories of the past. With a plot and themes that are relatively straight-forward, Mary Helen Specht’s novel on the surface appears to be unremarkable. However, what sets it apart as extraordinary how effectively she makes it all seem simple, and easy. Juggling a handful of points of view and a web of interactions, Specht successfully gives each character their unique vision and voice that gel together into a cohesive narrative, and a strong reflection of realism. Flannery and Molly, for instance, share some aspects of voice, personality, as you might expect sisters would, yet have individual highlights and faults. Another quality to this novel that I greatly appreciated is that the narrative does not rest on outright strife. Their are challenges, sure, but this isn’t yet another literary novel about failing relationships due to poor communication and flawed personality. The characters aren’t rosy, but they are working through any darkness. Specht’s writing is enthralling and there are layers both to her characters and to the symbols that populate the text. The novel will get you thinking about things like home, nostalgia, family, healing, and schism. While there isn’t much meat here in terms of plot, enough is present for any reader who like character driven fiction. Disclaimer: I received a free advanced reading copy of this from Harper Perennial via Edelweiss in exchange for an honest review.